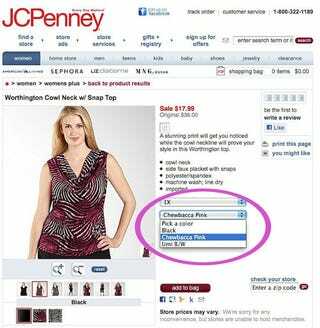 JCPenney Invents Bold New Color: "Chewbacca Pink"
This Worthington top is available in "Chewbacca Pink," as well as this mysterious color called "black." Come on, JCPenney! Are you talking about "Princess Leia Black" or "Jabba the Hutt Black?"